Tax day is just around the corner, and we even get a one-day reprieve since April 15 falls on a Sunday. 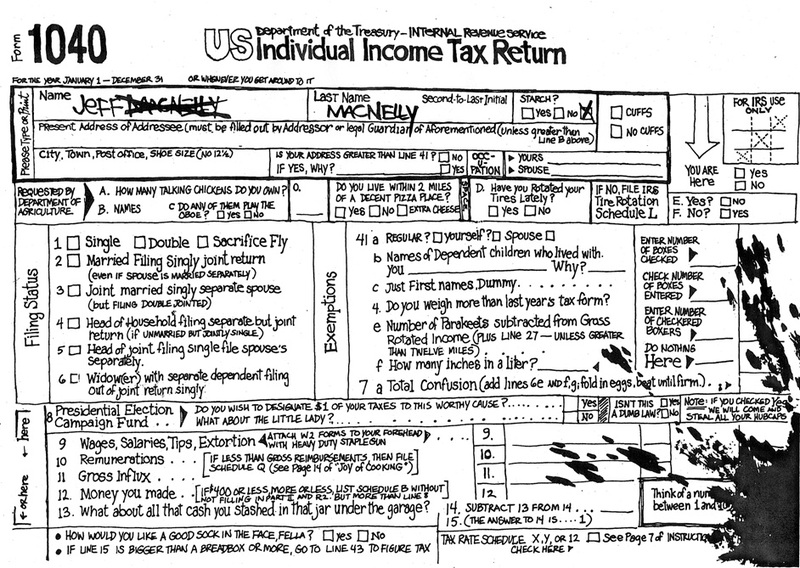 And since everyone knows that I’m a big fan of the current tax system and the IRS (speaking of which, here’s a very good joke), let’s celebrate by digging into the Jeff MacNelly archives for these two tax cartoons. First, here’s what many of us will be doing next weekend. Click to enlarge the cartoon. Every line is worth reading. It would be nice to have a simple and fair system like the flat tax, requiring a 10-line return that can fit on a postcard. But be wary of some “simple” plans, as shown by Barack Obama’s two-line plan for a flat tax. 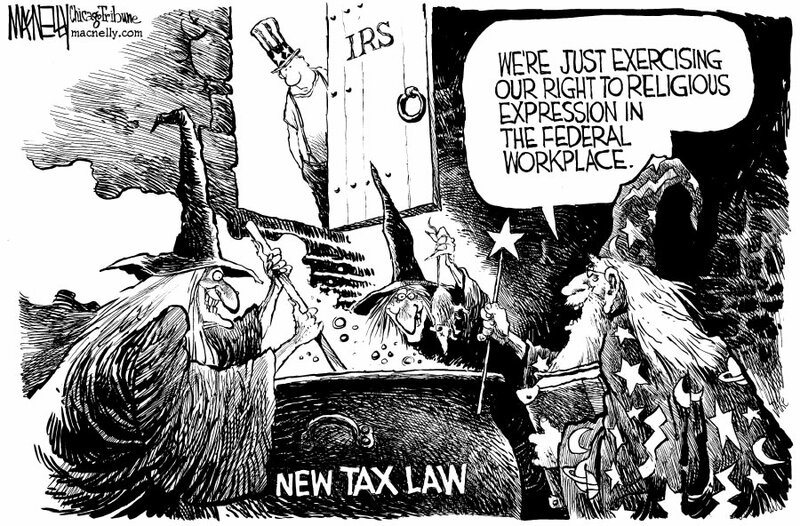 And here’s another cartoon showing how tax laws are developed. Very appropriate when you think about the IRS’s proposed interest-reporting regulation or the new FATCA law. Jeff MacNelly was my favorite political cartoonist during my formative years. Sadly, he passed away far too early. For good political cartoons today, I recommend starting with Michael Ramirez and Lisa Benson. The chief bureaucrat of a low-income California city getting almost $800,000 per year. An employee of the New Jersey Turnpike system raking in annual compensation of $320,000. We now have another über-bureaucrat to add to our list. Here are the key details from the New York Post. Ms. Hankin and the other bureaucrats mentioned above are extreme examples, but they help underscore the problem that exists when politicians and bureaucrat unions make insider deals, swapping political support for lavish compensation levels. Taxpayers, meanwhile, get screwed. This video explains why this is a problem at all levels of government. What makes this so outrageous is that most bureaucrats get overpaid for position that shouldn’t even exist. If we shrink government to its proper size, the problem is mostly resolved.